The worldwide burden of diabetes-related vision loss is growing alarmingly. Over 2 decades from 1990-2010, the number of people worldwide with diabetes-related blindness or visual impairment rose by an alarming 27 percent and 64 percent, respectively. In 2010, 1 in every 52 people had vision loss and 1 in every 39 people were blind due to diabetic retinopathy - where the retina is damaged by diabetes. As the number of people living with diabetes worldwide grows, so does the chance that more people will develop diabetic retinopathy and suffer subsequent vision loss, especially if they do not receive or adhere to the care they need. Diabetic retinopathy is a disease of the retina that damages sight as a result of chronic high blood sugar in diabetes. The high sugar damages the delicate blood vessels in the retina - the light-sensitive layer of tissue that lines the back of the eye. "Unfortunately diabetic retinopathy usually does not have any symptoms in the early stages." The researchers suggest poor control of blood glucose and inadequate access to eye health services in many parts of the world are contributing to the rising numbers of people with diabetes-related vision loss. This number is expected to nearly double to 14.6 million Americans with diabetic retinopathy by 2050. For their investigation, the researchers carried out a meta-analysis of published population studies from 1990-2012 for the Global Burden of Disease Study 2010. A meta-analysis is where you pool data from several studies of similar design and analyze it as if it came from one large study. The researchers extracted and pooled data on diabetic retinopathy to produce estimates of global regional trends on the condition as a cause of moderate and severe vision impairment and blindness. They found that over the period 1990-2010, South Asia, Middle East and North Africa, and West Sub-Saharan Africa, were the regions with the highest number of people with visual impairment due to diabetic retinopathy, while East Asia, Tropical Latin America, and South Sub-Saharan Africa had the highest number of people rendered blind by the condition. The biggest rise in the proportion of the over-50s population whose vision impairment was due to diabetic retinopathy occurred in Central, South, and Tropical Latin America, while South Sub-Saharan Africa, Southern Latin America, and Central Sub-Saharan Africa had the biggest rise in the proportion of over-50s rendered blind by the condition. The researchers found a slight fall in visual impairment due to diabetic retinopathy occurred in South and Southeast Asia, Oceania, and East and West Sub-Saharan Africa. "With the alarming prevalence of vision loss due to diabetes rising more than two thirds in the last 20 years, the precipitous global epidemic of diabetes must be addressed." 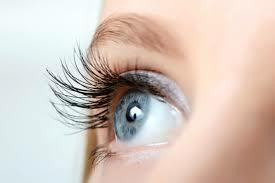 They should also intensify efforts to prevent and treat diabetic retinopathy - for instance, by introducing laser treatments, use of intravitreal injections of steroids, and anti-VEGF (vascular endothelial growth factor) drugs. "People diagnosed with diabetes should have a dilated eye health exam at least every year and be advised by their eye care practitioner for their personal situation. Patients should work closely with their healthcare provider to determine the best methods to control their blood sugar levels."